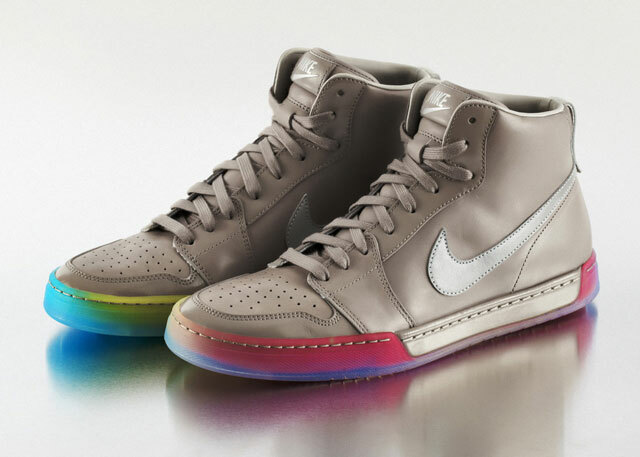 As part of their 2012 BE TRUE campaign, Nike has launched the BE TRUE Pride Pack, footwear (and tees) inspired by the LGBT community. 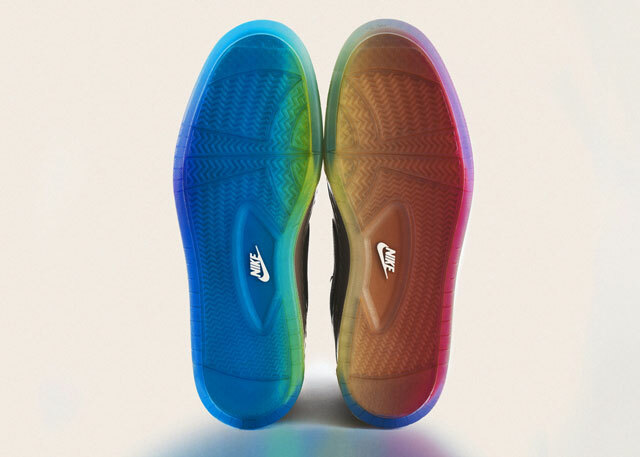 This summer, three different shoes were released at their main stores in three different U.S. cities: the BE TRUE Air Flytop in San Francisco, the BE TRUE Air Royal in New York City and the BE TRUE Lunar Flow in Portland. These cities were chosen to be celebrated in the campaign because of their achievements as “progressive leaders of LGBT life”. Nike introduced the original BE TRUE campaign in 1985.